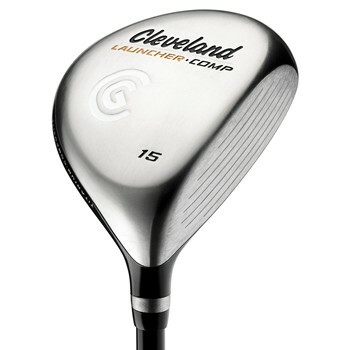 The Cleveland Launcher Comp features a titanium face and sole with a graphite composite body, which combines strength and feel in a lightweight head. The light head allows the weight to be distributed low and deep in the head to create a high, penetrating trajectory. The Launcher Comp titanium fairway woods feature the same lightweight, tri-ply carbon fiber composite crown that is used in the 460 Comp driver. It is the only fairway wood on the market that uses SP700 beta-titanium as a face material which maximizes distance without sacrificing forgiveness or control. All photos are representative of brand and model only. The description will list the actual specs.